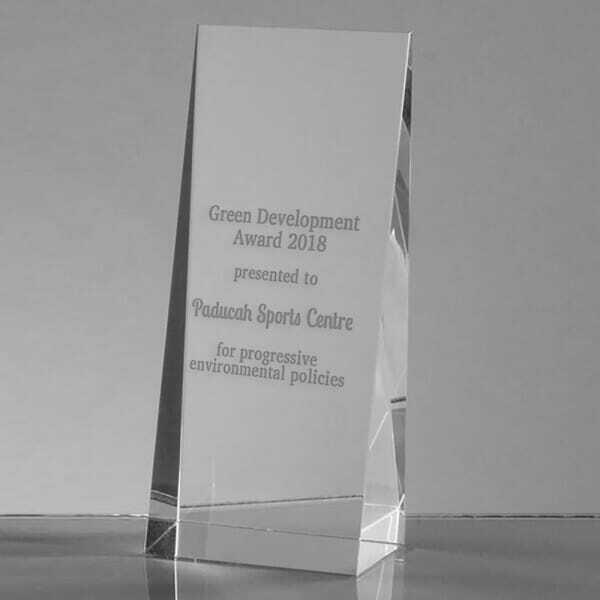 This wedge shaped award is ideal to customise if you are looking to reward companies for their achievements such as for being the local employer of the year or implementing good environmental policies. Perfect for local councils and other government bodies looking to award companies. This award will be precisely engraved with our specialist lasers to a create high-quality finish. To customise this company award, simply enter the details you want to be displayed in the fields on the right and we will create the design for you. You can also upload graphics or logos to be engraved on the glass. If you would prefer a different text on the award, please let us know in the 'additional notes' section. The award will be delivered in a presentation box. Customer evaluation for "Wedge Rectangle Award - Company Recognition"